WP Fusion integrates with MemberPress to bring the power of your CRM to your WordPress membership platform. When a user checks out on your MemberPress site, their contact details will automatically be added to your CRM. WP Fusion also supports detecting and syncing any custom fields you add to the checkout form. 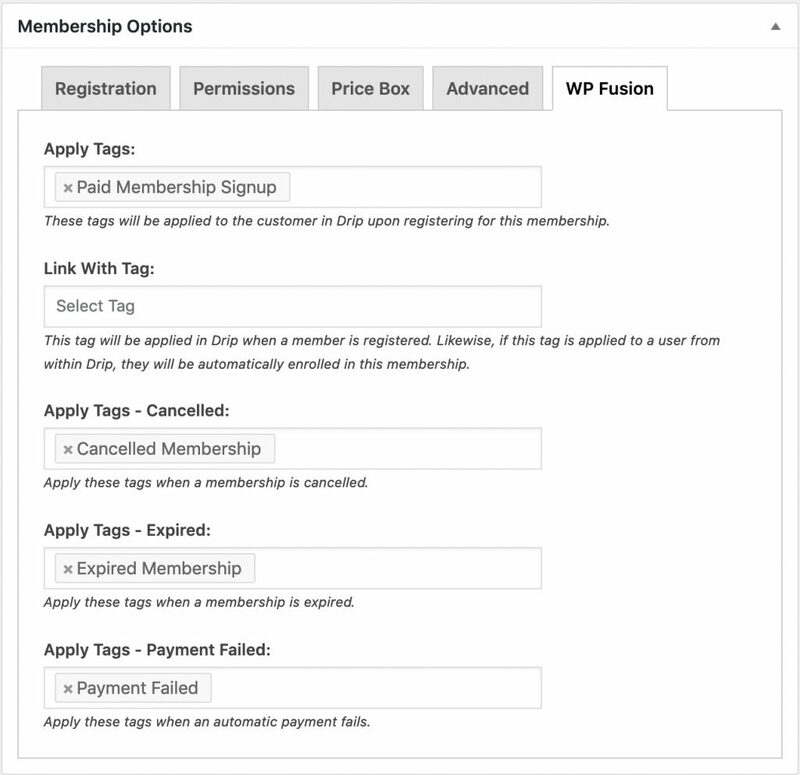 When configuring a membership level, you can click on the WP Fusion tab to configure any tags you’d like applied when the membership is purchased. Apply Tags – Cancelled: These tags will be applied when a membership is cancelled. Apply Tags – Expired: These tags will be applied when a membership expires. Apply Tags – Payment Failed: These tags will be applied when a payment fails as part of a recurring transaction. WP Fusion also allows to to apply tags to the new contact when a specific coupon is used at checkout. You’ll see the new settings box when editing any MemberPress coupon. With MemberPress installed, you’ll see additional fields under the MemberPress section in the Contact Fields list. You can sync a member’s registration date, membership expiration date (if applicable), and payment method to custom fields in your CRM. You can use these values to trigger email sequences to follow up with a member as their expiration date is approaching, or create rewards for members who have been with you for a long time.